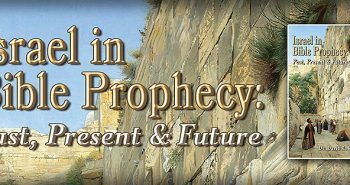 In fulfillment of this prophecy, Israel is, without a doubt, the most hated nation in the world today, and I can prove it quickly and decisively. 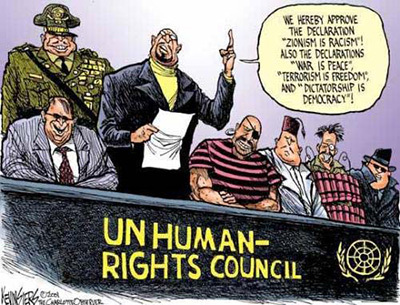 Just consider a partial listing of condemnations issued by the United Nations Human Rights Council since it was established in 2006. 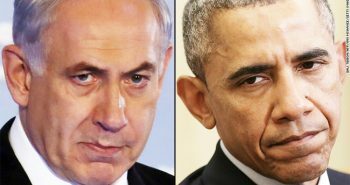 Israel has been condemned 62 times, Syria 17 times, North Korea 8 times and Iran 5 times. Of the 193 members of the United Nations, only 11 nations have been condemned, representing six percent. 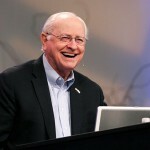 Of the 116 resolutions of condemnation, 53% have been aimed at Israel! 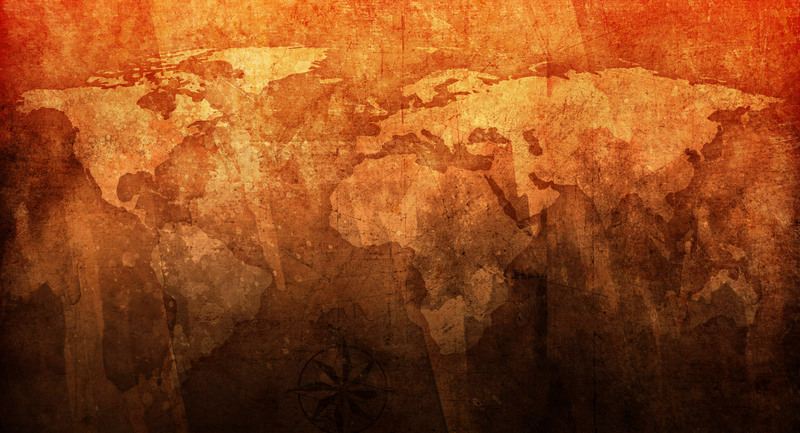 Not a one of the following states have received a single condemnation despite the fact that all of them have horrible records of human rights violations — Cuba, China, Pakistan, Russia, Saudi Arabia, Egypt, Somalia, Nicaragua and Venezuela. Yet Israel has been condemned 62 times. Or consider this list of terrorist organizations — ISIS, Al Qaeda, Boko Haram, Fatah, Hamas, Hezbollah and Islamic Jihad. 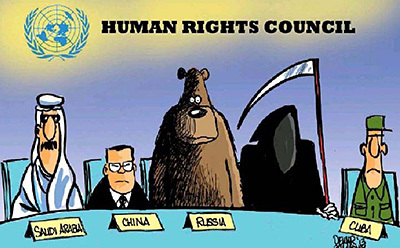 The only one that has been condemned by the UN Human Rights Council is ISIS, with one condemnation! Yet Israel has been targeted 62 times. Israel is a democracy that provides the highest standards of freedom for all its citizens, both Jew and Arab. There is not one Arab country in the world that will allow Jews to be citizens, and there is not one that will allow freedom of religion for Jews and Christians. Yet it is Israel that is condemned. In contrast, Israel allows Arabs to be citizens and to vote and serve in its parliament. 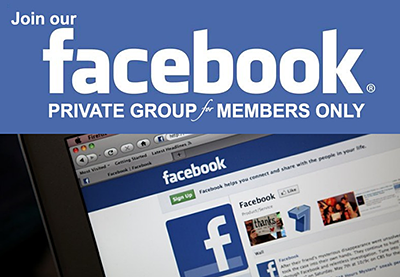 It also provides freedom of speech and religion for both Christians and Muslims. Women in Arab countries throughout the Middle East are subjected to honor killings and are denied basic rights like voting and privileges like driving an auto, yet the UN Council on the Status of Women wrapped up its most recent meeting in March of 2016 by condemning only one country in the world — Israel, for supposedly violating the rights of Palestinian women! In the same month, the latest session of the United Nations Human Rights Council issued one condemnation each for North Korea, Syria and Iran. 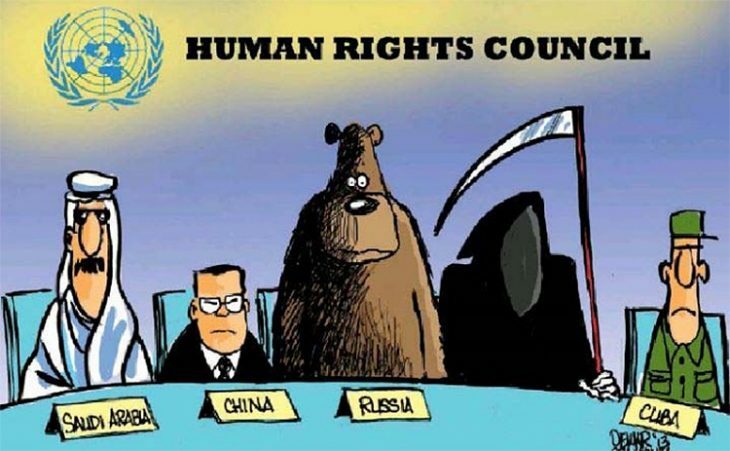 That means that 98% of the 193 member states of the United Nations — inhabited by 6.6 billion people — got no mention at all in the resolutions of the UN Human Rights Council. Israel is one of the smallest nations in the world. It is only 300 miles long and 75 miles wide — about the size of the state of New Jersey. Does the United Nations really believe it is the source of all the world’s problems? The latest UN fiasco has come from the United Nations Educational, Scientific and Cultural Organization (UNESCO). In October of 2016 this Arab dominated wing of the UN adopted two outrageous resolutions presented by the Palestinians in which they denied any historical connection between the Jewish people and Jerusalem, the Temple Mount and the Western Wall (or “Wailing Wall” as it is often called). The prime Minister also pointed to extra–biblical evidence of the Jewish connection to Jerusalem. 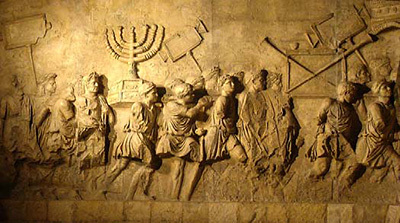 He suggested that if the UNESCO members do not believe the Bible, they should visit the Arch of Titus in Rome because it contains a frieze showing the loot that the Romans brought back to Rome after they destroyed the Jewish Temple in 70 AD. The frieze from the Arch of Titus showing Jewish prisoners carrying items confiscated by the Romans from the Temple in Jerusalem in 70 AD. 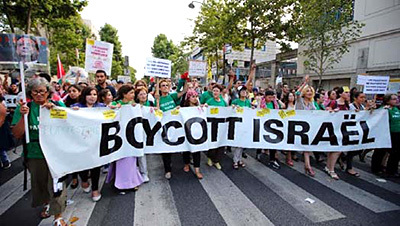 Further evidence of the world’s hatred of the Jewish people is to be found in the rising wave of anti–Semitism that is currently sweeping Europe and the emigration to Israel that it is provoking. It is a phenomenon that was featured on the cover of Newsweek magazine in August of 2014. According to the Pew Research Center, by 2013, Jews were being harassed in 34 of 45 European countries and anti–Semitic harassment worldwide had reached a seven–year high. 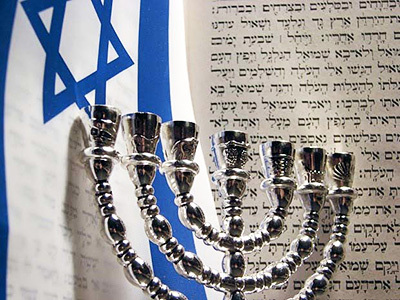 All over Europe, and particularly in Greece, France and Belgium, Jews are seeing their religious freedoms violated, their cemeteries vandalized, and their synagogues desecrated. They are also experiencing increasing personal attacks that often result in death. In France, the annual number of anti–Semitic incidents is currently seven times as high as in the 1990s. In 2014, they doubled. Anti-Israel parade in Paris, France. The elections to the European Parliament in 2014 showed a surge of support for extreme right–wing Neo–Nazi parties in France, Greece, Hungary and Germany. The population of Europe today is 742 million. Only 1.4 million of those are Jews. That means the Jews constitute only one–tenth of one percent of the population, and yet they are the focus of hatred and persecution. And in the process, they are blamed for most of Europe’s problems. I could extend this discussion considerably by demonstrating the ways in which our own nation has turned against Israel, particularly during the last eight years. And I could show you extensive evidence of growing anti–Semitism in America, even among Evangelicals. But I will save all this for a future article. 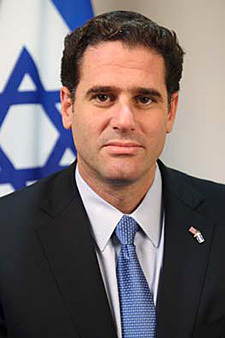 I want to conclude this essay by sharing with you the thoughts contained in a brilliant speech by Israel’s Ambassador to the United States, Ron Dermer. The speech was delivered this past year in May at an annual conference in New York City that is sponsored by the Jerusalem Post. The Ambassador focused his remarks on the difference between fact and fiction regarding the way Israel is portrayed in the world press. The full speech can be found on the Internet in many places. I am going to share only portions of it with you. “In a world of fiction, Israeli soldiers are war criminals. In the world of fact, the IDF deserves the Nobel Peace Prize for the efforts its commanders make and the risks its soldiers take to keep Palestinian civilians out of harm’s way. In a world of fiction, it is Israel that has an extremist, brutal and bloodthirsty society. In the world of fact, Hamas terrorists rule Gaza and welcome every drop of blood spilled in Jerusalem. Palestinian children are educated to hate Jews and Palestinian public squares are named after mass murderers. In a world of fiction, there never was a Temple on the Temple Mount, and the Jewish people are foreign colonialists in the land of Israel. In the world of fact, the Temple of Solomon was built by the son of David 3,000 years ago in Jerusalem, and what the world calls the West Bank is the same Judea and Samaria where the patriarchs of the Jewish people prayed, where our prophets preached and where our kings ruled. In the world of fiction, Iran will seek to reconcile with the United States after the nuclear deal and become a partner for solving problems throughout the Middle East. In the world of fact, Iran is vowing to remain an enemy of the United States and is wreaking havoc throughout the Middle East. In a world of fiction, a richer Iran will curb its aggression, end its support for terrorism and stop trying to annihilate Israel. In the world of fact, a richer Iran is dispatching troops and proxies throughout the region, shipping more arms to Hezbollah, hosting Holocaust denial contests and test–firing ballistic missiles inscribed with threats to wipe Israel off the map. In a world of fiction, Prime Minister Netanyahu is not prepared to negotiate with President Abbas. In the world of fact, President Abbas has avoided negotiations for the last seven years. In a world of fiction, settlements are the obstacle to peace and Israel is ethnically cleansing the Palestinians. In the world of fact, our conflict predates the building of settlements in post–1967 Israel by 50 years, the Palestinian population in the territories captured in the Six Day War has grown at least threefold, and those who allege ethnic cleansing are those who insist that a future Palestinian state be devoid of all Jews. It is at times like this, when the world predictably rushes to defame and demonize Israel, that I am proudest to serve Israel. Because despite being the most maligned country on earth, Israel is the most remarkable country on earth. Not perfect, but remarkable. 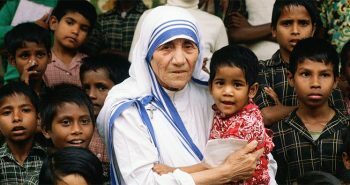 With a people who are moral and compassionate. With soldiers who are brave and decent. With institutions that are sound and resilient. And with a Prime Minister I know is as determined as ever to secure Israel’s future. Someone once said that if the story of Israel were submitted as a movie script, it would be rejected for being too fantastic to believe. 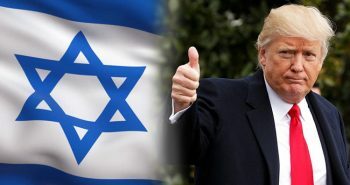 After all, the restoration of sovereignty in our ancestral homeland after 2,000 years, the return of the exiles of our people from across the globe, the defense of Israel against implacable enemies, and the transformation of Israel from a desert backwater to a global technological power, seems to defy both history and logic. But ladies and gentlemen, Israel is not a work of fiction. Israel is a real country. And the people in Israel are real people. Wonderful article. Please keep the truth coming, to inform us, to educate us, and to let us know what God is doing in the world and with his beloved Israel. Bless you for the work you do! And of course, God bless Israel! 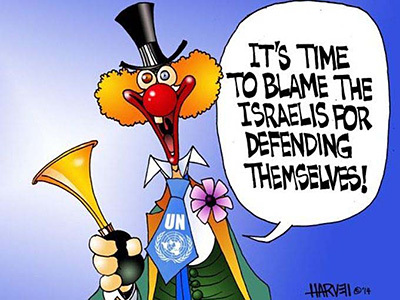 When the UN makes statements claiming that Jews have no connection to the land, it shows that they are mentally unstable and can’t be trusted in any capacity. The UN needs to be dismantled. The times of the signs are here now! 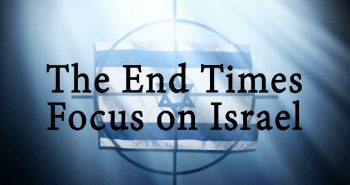 The U.N.’s deceptive and sneaky attempts at grabbing world power, anti- Semitism reaching pre-World War II levels, the nations raging against Israel while violence surges within their own borders, these are signs we are surely in the last days before the Rapture. Thanks Dave for this well-written and insightful article!! I’m a Roman Catholic, age 70. Throughout my age of reason, I’ve been appalled at the treatment of Jews. I believe in the bible, of course, and I, too, feel we are at the crest of the end of days. 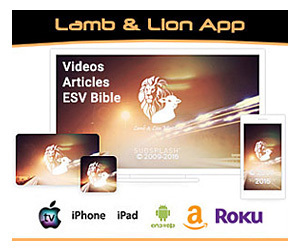 I truly hope our two year old daughter will participate in The Rapture, and I pray to Our Lord Jesus Christ that he will grant my wife and myself the blessings of this event, were we alive at the time. For all Jews, I am deeply saddened by your life experiences as they relate to the rest of the World. As always Dr. Reagan your article is on the mark.